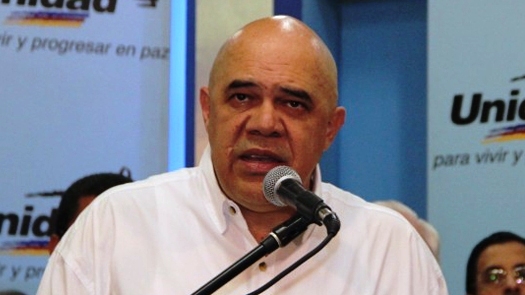 Last night, MUD Secretary General Chuo Torrealba announced the opposition coalition has agreed to go to December 6th elections with a “Tarjeta Única”: a single spot on the ballot box, rather than different parties in the coalition each running their own party symbols around a single candidate. Con estos 4 documentos hoy la Unidad puede decirle al país: Tenemos estrategia común, tenemos comando unitario Y TENDREMOS TARJETA ÚNICA! Except, the four documents are nowhere to be seen! Chuo doesn’t link to them on Twitter. It’s been 12 hours since the announcement and they’re not on the MUD Web Page…nobody seems to have them! I’m sorry but this kind of thing really bugs me. Because it’s not the first time. Last week, it was Henrique Capriles rambling incoherently as he presented an “economic plan” based on a document he described but never produced. Now, MUD is trying to persuade the country it has the competence to run parliament…but they can’t get it together to publish a damn document online?! It’s the kind of Bush League public relations amateurism that leaves even their natural allies thinking they lack the basic seriousness and competence to govern. En serio, guys, it’s 2015. Call your children and ask them to explain Dropbox to you.